Have you ever dreamed about becoming the next Jeff Gordon or Jimmie Johnson and winning big in racing and wondered how to get started? Well like anything worthwhile in life it takes time, determination, and commitment to become successful. Most drivers in the top tier NASCAR Sprint Cup Series have spent years honing their skills in this trade, typically starting out around the age of five or six. There are many paths to becoming an elite Sprint Cup driver, but the traditional path starts out at your local short track. What is a short track you may be wondering? Well there are several types of race tracks used in automobile racing with the vast majority of them being unpaved dirt oval tracks of a half-mile or less. Some are as long as one mile in length others can be as small as a 1/4th of a mile, with the typical length being a ½ mile. 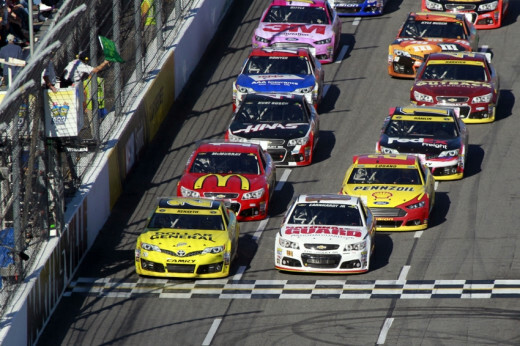 NASCAR Sprint Cup races primarily take place on tracks of one mile or longer with 1.5 mile ovals being the most common. These tracks are called superspeedways and the Daytona International Superspeedway in Daytona Beach, FL and the Talladega Superspeedway in Talladega, AL being the largest and fastest at 2.5 miles and 2.66 miles in length respectively. But let’s not get too far ahead of ourselves, the road to Daytona and Talladega is a long and arduous one and will take many, many years of practice and experience before you can even think of bringing a race car to one those places to race. The local short track is where it all begins and with upwards of 1,900 race tracks throughout the United States and Canada there is bound to be one near you. Contrary to popular belief auto racing is a sport and like any other sport most successful competitors get started at a very young age. Typically a driver will start out racing in go-karts around the age of five or six and work their way up through progressively more difficult and higher horse powered race cars until they graduate to the highest level of local short track racing, usually Late Model Stock Cars or Super Late Model Stock Cars depending on the track and region of the country where the driver resides and competes. To better understand what it means to graduate to higher levels of racing we must discuss the class structure at the typical local short track. Each local track that conducts a weekly racing program will have several classes of races usually based on vehicle performance and horse power. As noted earlier go-karts are the entry level for most aspiring race car drivers. A typical local track will have several classes or divisions of races. For example Langley Speedway, in Hampton, VA has eleven different divisions which alternate running during their Saturday night program. The divisions from entry level to advanced are as follows: Go-karts, Enduros, Super Trucks, Pro-Six, UCAR, Super Street, Legends Cars, Modifieds, Grand Stocks, and Late Models. Not all tracks run these divisions. Some run more some run less, while others will run sprint cars or some other types of race cars but in the Mid-Atlantic region which is the heart of NASCAR country these will be the types of classes usually run. So what is the difference between each type of race car and why should you bother learning about them? Well think of it this way. Would a top NFL team let somebody come in off the street who has never played in an organized football game and start for their team? The answer would probably be highly unlikely and it’s the same in NASCAR racing. Everyone has to pay their dues and work their way up like in every other sport. A kart is a small open, four wheeled vehicle that consists of a chassis made of steel tubing .This is the traditional entry level vehicle for getting into professional automobile racing. Speeds vary widely depending on the kart, engine, and type of track its being run on. Some karts can run speeds upwards of 160 mph (260 km/h) but typically on a short track they will run anywhere between 30-50 mph unlike an amusement park kart which are usually restricted to under 20 mph for safety purposes. 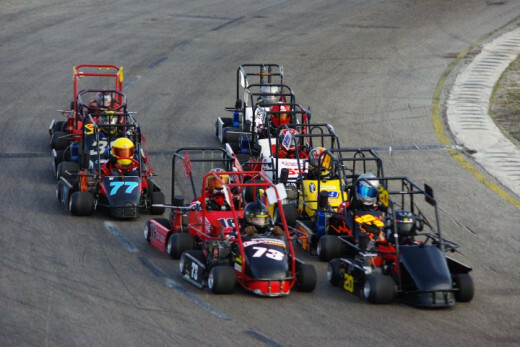 Racing karts are powered by small 2-stroke or 4-stroke engines with the average 2-stroke producing between 8 - 90 hp while 4-stokes produce between 5 -20 hp. The wheels and tires are much smaller than those run on a normal street vehicle and in speedway racing they run slick performance tires. Kart races range in length from 4 laps for a trophy dash to 20 laps for a feature race. Most casual observers will view karts as a silly pastime for kid racers but let’s not forget some of NASCAR’s greatest champions started out running karts such as Darrell Waltrip, Tony Stewart, and Jeff Gordon. Not bad company being that those three drivers have a combined total of 10 NASCAR Championships. If you want to really become a professional race car driver karts are where you start in order to learn the fundamentals of oval track racing. In different regions of the country this class of stock car goes by several names. Some tracks call them hobby stocks, street stocks, pure stocks, super streets, bombers, or showroom stocks but they all share one thing in common. They have to have been a production vehicle that was available to the general public. No purpose built race cars allowed. 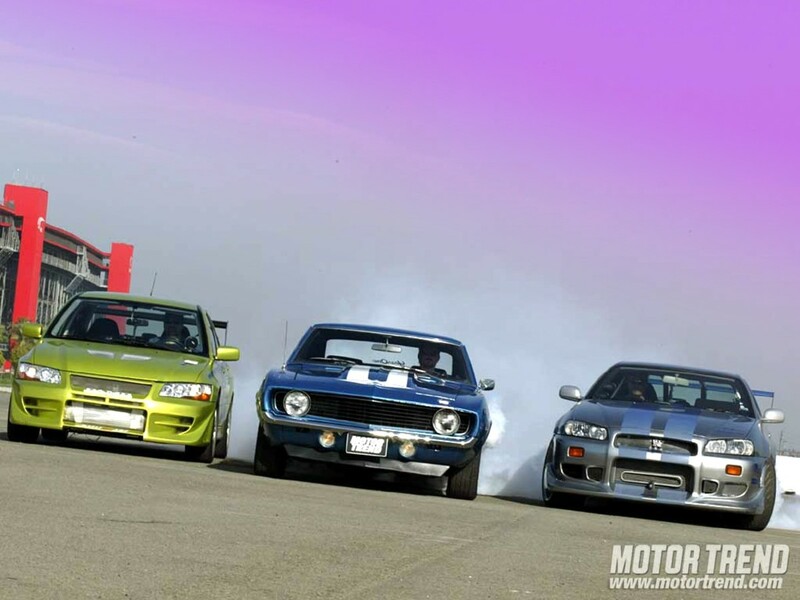 This division tends to have the highest car counts and the most competitive fields due to the fact that there are few modifications that can be made to the cars which make them more affordable to race and putting driving skill at a premium. Racing and maintaining a street stock car will teach a driver fundamental skills that they will need later on as they move up such as chassis setup and tweaks on the car to make it perform better on the track. Setting up a race car to run at its optimum on any giving track is a vital skill that every driver must know if they are to be successful. Many hobby racers are content to remain in this division for their entire careers because moving up to the next level requires serious money and commitment. At many tracks this class of stock car is considered the final step before moving up to the top tier Late Model Class. Like street stocks, super stocks go by several different names depending on track and region of the country where you race. They are sometimes referred to as Super Stocks, Grand Stocks, Sportsmen, or Limited Late Models. These are the first truly purpose built race cars many will encounter with engines producing anywhere between 500 and 550 horsepower. Some tracks allow the cars to run a steel tubular clip chassis or stock clip chassis but aluminum or titanium chassis are not allowed. In recent years the cost of this class had skyrocketed and car counts are down because some drivers and teams feel that for the amount of money being spent they are better off committing to a full late model rather than running a super stock. A modified is a unique type of stock car. The car bodies are a hybrid of an open wheel car and a stock car. The front tires are open similar to a sprint car but the rear wheels have a body around them like a stock car. Unlike the NASCAR touring modifieds typically raced in the Northeastern United States your local track will run an IMCA style modified which consists of a car with a partially stock frame and narrow eight inch tires requiring greater skill to balance the light weight of the car with its high horsepower output. At some tracks the modifieds are the top class and they do not run late models but normally the two classes are run at the same track with the modifieds being the 2nd highest class. Many perspective up and coming drivers have come up through modifieds and have skipped late models all together going straight to touring super late models. If you have the drive, determination, skill, and above all else the money to make it to late model stock cars then you have indeed accomplished something. Late Model stock cars are the top level race cars at the local short track level and they are true purpose build racing vehicles. Late Models are primarily race throughout Virginia and the Carolina's. The reason why this article focuses on this region is due to its close proximity to Charlotte North Carolina, the capital of NASCAR stock car racing. Anyone seriously considering a career in NASCAR racing needs to understand that in order to be noticed by the big teams you have to race in their backyard. A late model vastly differs from the previous mention types of race cars in that they are specifically built for racing and would be illegal to take on a public roadway. They generally weigh around 3,100 pounds and utilize both factory-designed crate and custom-built racing engines. Engines produce upwards of 400 horsepower and the bodies primarily consists of fiberglass and plastic, but are durable enough to withstand the rigors of short track racing. 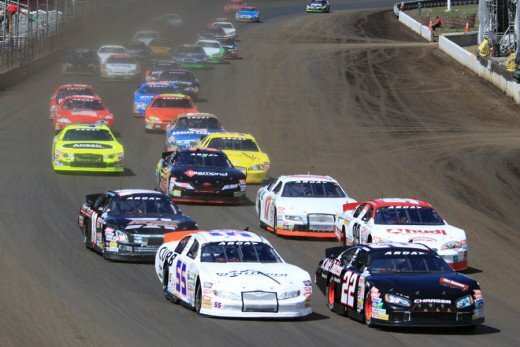 In 2002 an agreement between most of the racing sanctioning bodies and local short tracks throughout the United States and Canada was formed that all cars would use a uniformed Approved Body Configuration (ABC) which allows teams to compete not only at their local short track but travel throughout the country hitting major events nationwide. Late Models is where a driver takes all of their skills that they learned in the lower divisions and compete at a high level with the hope of gaining sponsorship and a chance to race in one of the several regional and national touring series. This is a make or break situation for many wannabe professional race car drivers, because success can lead to a permanent ride in NASCAR while failure could lead to bankruptcy or being stuck on the local level. There is a little know fact that some of the best drivers in the country are racing in late models but have been unable to break into the big time of national touring racing for one reason or another. 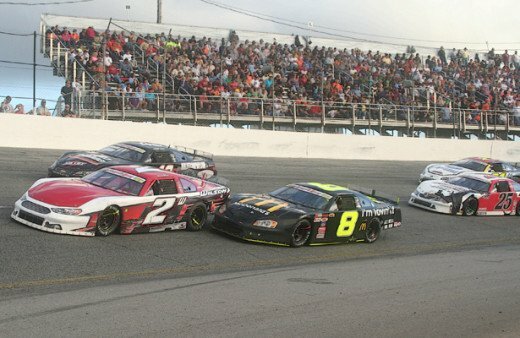 For those who can't move up or are looking for an opportunity to move up NASCAR has formed a nationally recognized racing series the competes at local short tracks throughout the country called the Whelen All-American Series, it's a points championship for NASCAR sanctioned tracks around the United States and Canada. Drivers that race at a participating local track can race for points that count towards a weekly racing national championship. Tracks are grouped together by state or providence and each crowns a champion. At the end of the season points are tallied up and whatever driver earns the most points is crowned the Whelen All-American National Champion. Super Late models are the race car type used in most regional touring series throughout the United States and Canada and like Late Models they use ABC style bodies and similar engine packages, which allow teams to run in any series throughout the country. Super Late Models are lighter and faster than Late Models and take a great deal of skill to operate due to their power to weight ratio. Their engines produce 600+ horsepower and they weigh around 2,750 pounds. Some series require crate motors as a cost cutting measure. After a driver has proven successful on the local level and perhaps won a few local track championships the next stepping stone in becoming a NASCAR Sprint Cup driver is to join one of several regional touring series. In the United State and Canada each region of the country is served by a regional touring series. A regional touring series is a series that travels to different local tracks in a set geographic area. Although there are more regional touring series the ones listed below are an example of the major ones that compete. The CRA Super Series is a Super Late Model touring series owned and operated by Championship Racing Association and is based in the Midwestern United States. The series utilizes late model stock cars similar to those used by NASCAR. Regulations on engine and body are NASCAR legal. The CRA Super Series is based out of Indiana but in the past few years has been expanding its series to visit a variety of racetracks from Michigan to Florida. The CARS Tour is a Super Late Model and Late Model touring series based out of Mooresville, NC and is sanctioned by the Championship Auto Racing Series. 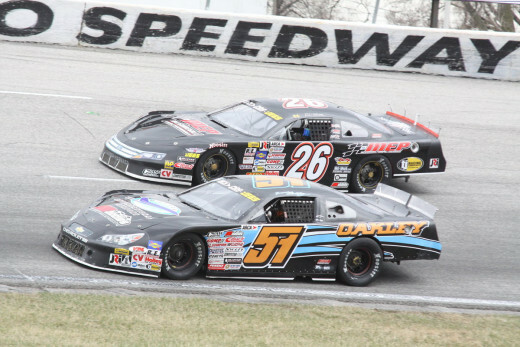 CARS has a working relationship with the United Super Late Model Alliance which runs a similar rules package as CRA allowing cars to compete in both series. The ARCA Midwest Tour is a Super Late Model touring series based out of Lake Geneva, WI. The Automobile Racing Association of America (ARCA) sanctions this regional series as a driver developmental series for its ARCA touring series. The Midwest tour primarily races at tracks in Michigan, Wisconsin, Minnesota, Indiana, Iowa, and Illinois. This series also runs a similar rules package as CRA and cars can compete in either series. The American Canadian Tour (ACT) is a Late Model touring series based in the Northeastern United States and Quebec, Canada and is based out of Waterbury, VT. The ACT has two late model divisions: the ACT Late Model Tour which hosts races in New England and New York State and the La Série ACT which runs races throughout Quebec, Canada. The Pro All Stars Series (PASS) is a professional pavement stock car sanctioning body based in Naples, Maine. PASS runs two Super Late Model series. The PASS North Super Late Model Series which hosts races in Maine, New Hampshire, Connecticut, Massachusetts, as well as the Providences of New Brunswick and Quebec in eastern Canada and the PASS South super late model series, based in Charlotte, North Carolina, which hosts race throughout North Carolina, South Carolina, Virginia, and Tennessee. The PASS Super Late Models hold combination races with its fellow New England based sanctioning body the ACT and runs a similar rules package. The Southern Super Series is a pro late model series based in Tallahassee, FL. It holds races at six racetracks. These tracks include the Crisp Motorsports Park in Cordele, GA, The Fairgrounds at Nashville, Five Flags Speedway in Pensacola, FL, the Mobile International Speedway in Mobile, AL, Montgomery Motor Speedway in Montgomery, AL and the South Alabama Speedway Kinston, AL. This series is one of the most competitive in the Southeastern United States and holds races at some of the premier racetracks in the region including the Fairgrounds Speedway at Nashville and Five Flags Speedway in Pensacola, FL. The SRL Southwest Tour Series is a late model racing touring series based in Bakersfield, CA and is sanctioned by a group of West Coast racers under the premises of the Stock Car Racing League. The cars feature a perimeter frame chassis as opposed to the more modern offset chassis used by most other major sanctioning bodies. The cars must weigh 2,900 pounds and have fiberglass bodies. Current SRL rules require cars to run a Five Star racing body in compliance with the national recognized Approved Body Configuration program. Future rules packages will bring the SRL series up the CRA, CARS, and ARCA Midwest Tour standards allowing cars from these series to compete in SRL races and vice versa. In addition to the various regional touring series there are several national touring series that travel throughout the United States and Canada. Once a driver cuts his teeth on the regional level many make the move to the national level. National touring series race at many different types of tracks and in different regions of the country. To achieve success at this level requires much more logistical and financial support than at the regional level. Many teams on the national level are affiliated with major NASCAR Sprint Cup teams and rely on them for financial and technical support. Many Sprint Cup teams use the national touring series as a developmental ground for future drivers and crew members. At this level racers are considered professional race car drivers due to the time commitment of traveling and participating in sponsor related events and appearances. The K&N Pro Series East is a regional stock car racing series owned and operated by NASCAR. Most races are held on short tracks of less than a mile. Dover International Speedway and New Hampshire International Speedway are the only superspeedways currently run on the K&N East schedule. A superspeedway is any paved oval track of one mile in length or greater. In addition to oval track racing the K&N East series also holds two races on road courses. Unlike Super Late Models K&N cars are custom built steel bodied race cars. However some teams use one piece composite bodies. Many cars that run in the series are former Sprint Cup cars. Teams have the option of building their own engines or they may run a spec engine similar to crate engines run at the local and regional level. Regardless of source engines must be V8, pushrod, 12:1 compression motors. 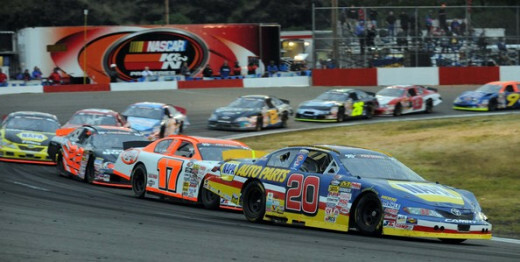 The K&N Pro Series West series is the West Coast equivalent of the K&N East series. Each series runs the exact same rules package and are interchangeable. It has traditionally been a proving ground for drivers from the Western United States who could not afford to travel to the traditional stock car regions of North Carolina and the Southeastern United States. The K&N Pro Series West races at Iowa Speedway are combination races with the highest place finisher from each division being considered the race winner for each perspective series. The NASCAR Whelen Modified Tour is a stock car racing series owned and operated by NASCAR. The Modified division is NASCAR’s oldest division with a history dating back to 1948. The current Modified tour began in 1985 and primarily races in the Northeastern United States. The series primarily races on short tracks but does hold two races at the New Hampshire Motor Speedway. A touring modified is vastly different from a stock car and are based on a tubular chassis that only share two characteristics of a passenger car. These being the manufactures logo and a logo indicating the type of road car it’s alleged to be. Touring modifieds are largely fabricated from sheet metal, with the front wheels and much of the front suspension exposed. They weigh 2,610 pounds and are powered by small-block V-8 engines, usually of 355 to 368 cubic inches displacement capable of producing 625 to 700 horsepower. At New Hampshire the cars run a restrictor plate in order to reduce engine power and car speed for safety reasons. Few up and coming drivers use the Modified Tour as a stepping stone to get into Sprint Cup racing because of the vast differences in the two types of machines. Modifieds are very lightweight with high horsepower and wide racing slicks resulting in very different handling characteristics which do not readily transfer to a Sprint Cup car which weighs more, runs narrower tires and are extremely difficult to drive. The Whelen Southern Modified Tour is a stock car racing series owned by NASCAR and runs nearly identically rules as it northern counterpart. The series races exclusively in the Mid-Atlantic region of the United States and holds an annual combination race with the Whelen Modified Tour at Bristol Motor Speedway. The ARCA series is a stock car racing series based out of Temperance, MI. 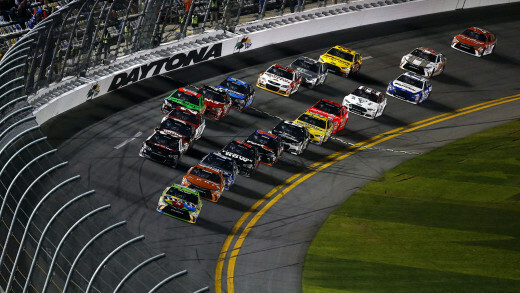 It is used as a feeder division for NASCAR Sprint Cup and is considered to be the most diverse stock car series in North America hosting races on short tracks, superspeedways, road courses, and dirt tracks. The series has a longstanding relationship with NASCAR, including using former Sprint Cup cars and hosting events on the same weekend as major NASCAR races. The series is not officially affiliated with NASCAR, but generally follows their lead in regards to safety regulations and race procedures. ARCA is used as a developmental series for drivers looking to break into the top tier of NASCAR. The cars are almost identical with many of the cars that compete in the series being former Sprint Cup Cars. ARCA is an ideal training ground for Sprint Cup racing because it gives drivers experience on the larger superspeedway while still racing on many short tracks allowing drivers to smoothly transition to longer races on faster tracks. ARCA stock car engines are also built under similar specifications to their Sprint Cup counterparts, and are occasionally purchased from NASCAR teams. The car weighs 3,400 pounds with engines capable of producing 700 horsepower enabling them to reach speeds of 200 mph. Once a driver reaches this level of competition they are truly considered an elite race car driver in the United States. Fewer than 100 individuals in the entire world compete at this level and it takes extreme commitment, skill and money to race in NASCAR’s big three, but what exactly is the Big Three? The Big three are NASCAR’s premier national touring series and they consist of the Camping World Truck Series, Xfinity Series and the top level Sprint Cup Series. The Camping World Series is a pickup truck series owned and operated by NASCAR and is the only racing series in all of NASCAR to race modified production pickup trucks. The Truck Series is the third tier NASCAR series behind the Xfinity Series and Sprint Cup Series and has been used as a springboard for drivers looking to rise to the Sprint Cup Series. The trucks primarily races on superspeedways but they also compete on short tracks and hold single events on a road course and dirt track. The road course race is held at the Canadian Motorsports Park located in Bowmanville, Ontario, Canada and the dirt track race is held at Eldora Speedway in Allen Township near New Weston, OH. The dirt track race at Eldora was the first major NASCAR event held on dirt since 1970. A Camping World Series truck features a tubular frame chassis with safety roll cage and weighs 3,400 pounds. Engines are small block V8 pushrod engines with a 12:1 compression ratio capable of producing between 650 to 700 horsepower. The Xfinity Series is promoted as NASCAR’s minor league circuit and is considered a proving ground for drivers wishing to step up to the top tier of NASCAR racing, the Sprint Cup Series. The Xfinity Series races are frequently held in the same venue as, and a day prior to, the Sprint Cup race scheduled for that weekend. An Xfinity Series car slightly differs from their Sprint Cup counterparts in that they feature a shorter wheelbase, 100 pounds less weight, and a less powerful engine. Suspensions brake systems, transmissions, are identical between each series. Additional differences between the two cars include the use of rain tires on road courses and the use of a carburetor on the engine as opposed to an electronic fuel injection system on Sprint Cup cars. The Sprint Cup Series is the top tier series in NASCAR and the top automobile racing series in the United States. The driver's champion is determined by a point system where points are given according to finishing placement and laps led. The season is divided into two segments. After the first 26 races, 16 drivers, selected primarily on the basis of wins during the first 26 races, are seeded based on their total number of wins and compete in the last 10 races with the difference in points greatly minimized. This is called the Chase for the Championship.The series primarily races throughout the Southeastern United States with half of their 36 race schedule being held there. 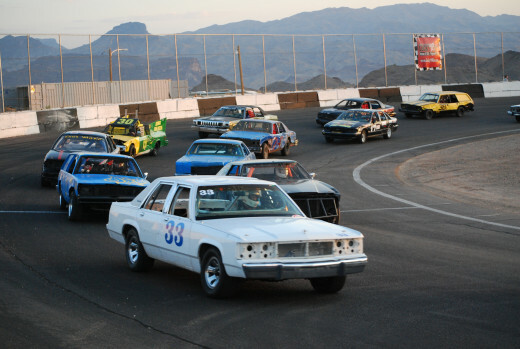 In recent years the series has expanded to hold races at tracks throughout the United States. Sprint Cup cars are perhaps some of the most difficult race cars in the entire world to drive competitively. The engines are powerful enough to reach speeds over 200 mph (320 km/h), but high weight coupled with relatively simple aerodynamics makes for poor handling. Cup Cars adhere to a front engine rear wheel drive design. Roll cage serves as a space frame chassis and is covered by 24-gauge sheet metal body. They have a closed cockpit, fenders, a rear spoiler, and an aerodynamic splitter. Fielding a car for one season usually costs $10–20 million dollars. The cars are powered by electric fuel injected pushrod V8 engines and limited to 358 cubic inches engine displacement. Engines are capable of producing upwards of 900 horsepower at 10,000 rpm. Sponsorship is perhaps the most important factor in advancing your racing career and we have saved this step for last. We have gone over local racing, touring racing, and NASCAR’s “Big Three”, but getting to the highest level is impossible without sponsorship, unless you happen to be independently wealthy then none of this matters anyway because you could just buy yourself a seat in a top NASCAR ride. However for the vast majority of wannabe professional race car drivers, have to work their way up and sell themselves to perspective sponsors. So what is a sponsor one may ask? A sponsor is usually a company, corporation, individual, or charity that is willing to shell out money or products in return for advertising space on a race car or drivers commitments to make appearances and to endorse their products or a combination of the three. Racing is a very expensive endeavor with fuel being one of the most costly commodities. Transportation costs are immense. Teams have to at least get one car and one full pit crew to the race. In addition to this the driver, owners, management, and all the teams racing equipment and tools all need to get to the track. This requires at least a couple of transportation trucks that can cost upwards of $1,200 to fuel. 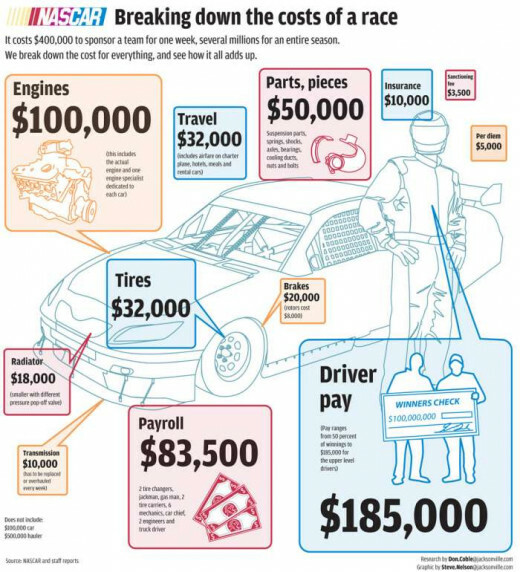 A driver’s salary is usually paid for by his sponsors. In return the sponsor gets a certain number of appearances from him. A driver can also bring in fees for additional appearances or even license his likeness to advertisers. It is nearly impossible to run races in NASCAR without corporate backing and if a driver does not have a sponsor he or she will simply be unable to get a ride in the NASCAR “Big Three”. Every sticker you see on a Sprint Cup car represents sponsor dollars with the logo on the hood belonging to the primary sponsor. The primary sponsor gets to decide the car’s paint scheme and team colors. Associate sponsors place their decals on the fenders and near the windows. The most visible spot on a race car are the quarter panels and they fetch the most money. The C-pillar, which is next to the rear window on both sides of the car, is the next most expensive position. The B-piler , the spot right next to the driver's shoulder, is the smallest associate sponsorship possible. In addition to money sponsors that sell automotive products that can be used on the car such as batteries or tires will supply teams with these products if the team agrees to endorse them. It takes more than talent to succeed in racing. Even at the local level a driver has to sell themselves to gain sponsorship, because even in go-karts you need money to be competitive. So where do you start? If you are serious about a racing career you have to think of racing as a business and any successful business has a primary focus on sales and marketing. What does that mean for you? Well you have to sell yourself and the first step is being prepared. You should have a brochure, a selling piece that gives a potential sponsor a good idea of what you have to offer them, what you are willing to specifically do for a sponsor and offers some information about your race team. This could be a six-fold brochure that can be handed out at personal appearances, mailed to potential sponsors with a cover letter, or is available when someone asks about sponsorship. The worst thing a driver can do is approach a perspective sponsor and have nothing prepared to give to them stating what you are requesting. Your presentation should include information about your race team, the driver, a schedule, demographics, and a list of things you can do for a sponsor and some photos, plus contact information. Without this perspective sponsors will hardly take you seriously and you will simply get lost in the mix. Professionalism is key. You will more than likely be speaking with business people so a professional voice mail is vital. No country music hits or cute greetings and if a live person answers the phone make sure they are capable of taking a good message and don’t have the children answering the phone. Always be mindful that marketing is serious business. A visual presentation is vital because let’s face it most people respond to visual stimulation. It’s important to keep a scrapbook or file of photos, news articles, column mentions, and stories that have been written about you in track magazines. You would be amazed at what you can forget as time passes, like how many wins or top 5’s you have had. Also don’t forget those business cards, remember you are a professional race car driver now. Another helpful thing you can do to secure sponsorship is to educate yourself on marketing. We are not saying you have to become an expert on the subject, but you should have a general understanding of the subject matter. Read up on selling tips and skills and marketing terminology. This will help you to better able speak with perspective sponsors and impress them with your basic understanding of marketing. Look around in your local area for possible sponsors. Look at the billboards at your local track and see what types of companies are sponsoring the track. Research similar companies to see if they would fit in the sport and have the marketing budget to do it. Look at what they are doing in the way of marketing. Create a cover letter that outlines key selling points/reasons to sponsor your race team. In the letter list three selling points and make them want to look at the brochure. In the brochure you have additional selling points/reasons to sponsor your race team. However, always save some of the key selling points for use later. Sponsorship hunting is a lot like job hunting and takes a lot of hard work. Look at your local newspaper and check magazines, TV, and billboards. See who is doing a lot of advertising. Contact them and run your sponsorship proposal to them. What is the worst they can say? Charities are another way to get into contact with perspective sponsors. You would be surprised at what contacts you can meet through such organizations. Make your race car available for charity events. Another option is becoming a supporter of your local Chamber of Commerce. Just as with charities make your car available for Chamber events. Once again this is a great networking opportunity. Always remember to dress to impress. When you do events make sure you look the part of a professional. Always carry your business cards and brochures and remember to get business cards from perspective sponsors. As you can see there is more to becoming a NASCAR driver than showing up to the track saying you can drive. It takes years of hard work and sacrifice to make it to the big time. Many have tried but few have made it. This guide is only one path to the big time. There are many roads to stardom in NASCAR but the fun part is getting there and meeting some great people along the way. Even if you never take the checkerd flag in the Daytona 500, racing is the greatest sport on earth and its something special to be apart of. See you at the track.